How much is a child’s fundamental education worth? Should we skimp on school funding knowing that today’s students are destined to become tomorrow's leaders? I ask this question because lately it has become the status quo in a lot of communities to vote down school levies. It should be the duty of every citizen to make sure that our children are well educated for life’s tough journeys ahead. 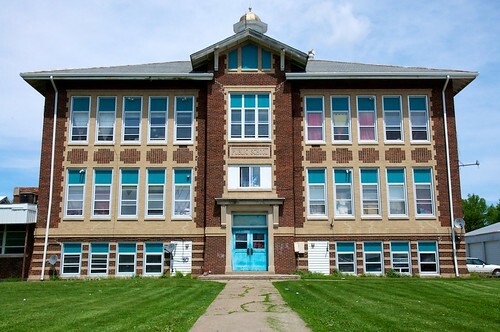 At the top of the list of reasons why school levies are not supported by some communities is the accusations that school boards are architects of wasteful spending. If voters count the recruiting of well qualified teachers as a waste of money, or if they think that these top notch instructors are willing to work for peanuts, then they are totally delusional. With the number of privately funded schools across the land, well qualified teachers have no problem obtaining employment. Yet a lot of these teachers passed up the golden ring to come to inner-city schools to teach the disadvantaged only to be let go due to tack of school funds. The most recent rounds of government cuts have place the education of our youth on the back burner and makes it even more difficult for those we trust to instruct our children. The same government that can’t seem to agree on how to fund our education systems have no problem coming up with 70 billion dollars for the defense budget. Our government spends billions everyday on machines of war while the burden of saving our schools falls on the meager paychecks of those who are struggling already in each and every inner-city community. In most of these blue-collar towns once upon a time, jobs were plentiful and the incoming tax revenue kept the school systems in the black. Of course the cost of everything was just a little cheaper back then, but you never saw near about as many school levies as you do these days. Our young people are a valuable resource which should be cultivated and allowed to grow and be well educated to the ways of the world. And not only that, there's a pretty good chance that the scientist that could save this planet is being born right now and more than likely will have to endure the public school system before taking on the title as world savior. Should we make the government more responsible for making sure school funding is solid? We all would like to say yes, but we know the truth which is politicians are just not that concerned. All of this will eventually lead us to a genre that is being looked at more closely these days and something I predict will become the way of the land and that is home schooling. All you’ll need is a computer and a desk and that takes the need for a levy right out of the equation.